After the last Bacon Revue we needed to bring a more traditional, less scary, act to the stage. 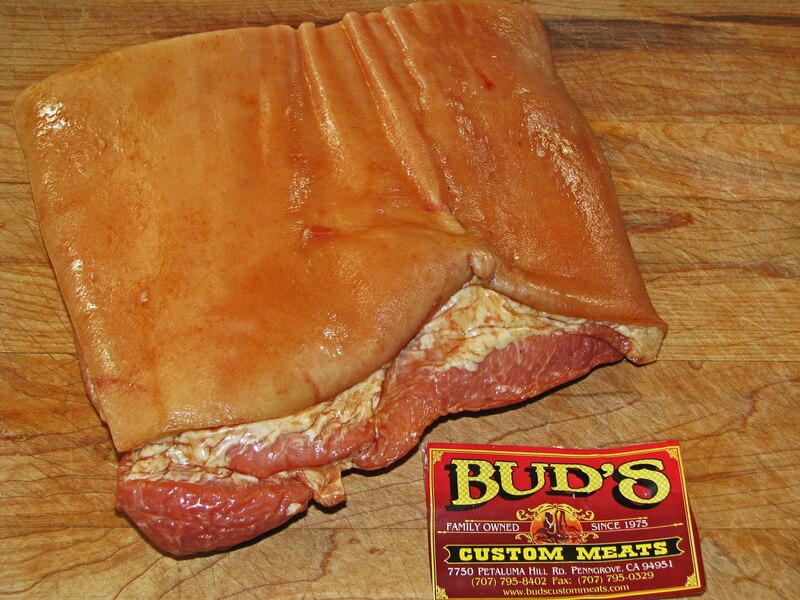 Tonight we are showcasing Bud’s bacon from Penngrove California. 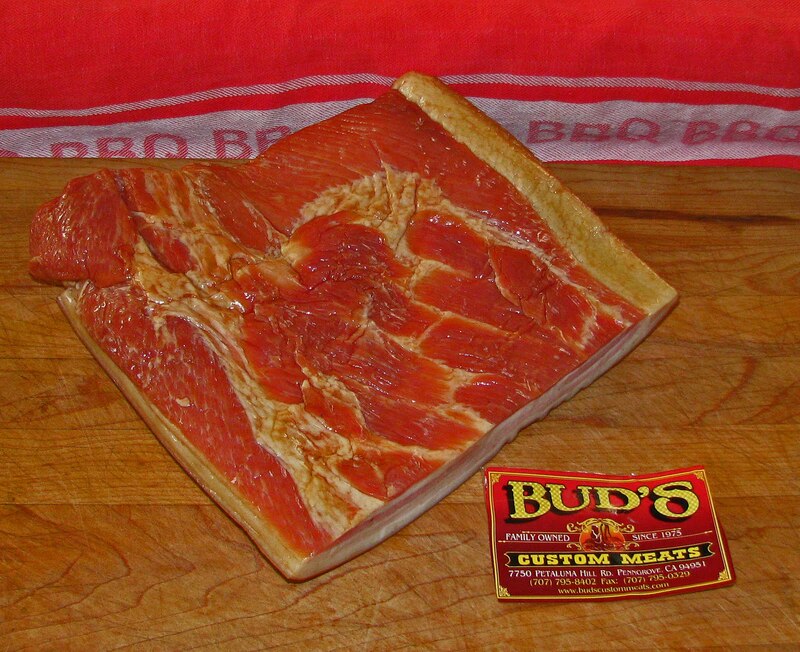 Bud’s is a local butcher shop which has a menagerie of meats to sell. They have all the traditional proteins but adds a herd of exotic meats to the lockers. Wild Boar, Bear, Venison, Ostrich and Buffalo are just a couple of meats Buds keeps on stock. 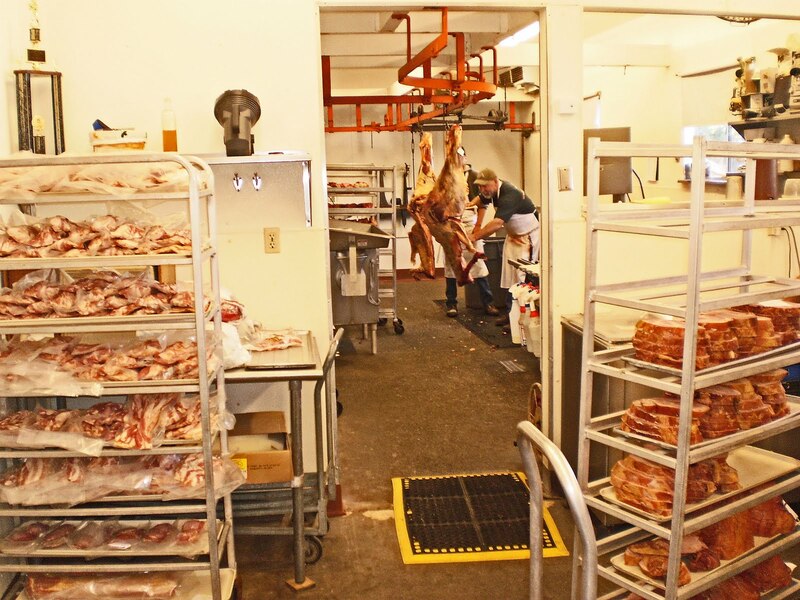 This meat market is located down a rural road and is surrounded by pasture and cattle grazing. This was not our first visit to Buds Custom Meats. We are confident that tonight’s act will entertain. The first thing that stood about this slab was that the rind was on. Now having the rind on is not an evil or bad thing. Some wild and crazy people actually prefer the rind on. 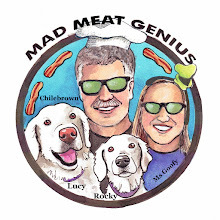 Rind is not welcome in the Mad Meat Genius kitchen. It was dispatched immediately. The meat to fat ratio was fairly even. We did not notice any smoke smell. The belly was sliced and fried on our trusty black iron. It crisped up very nicely. The ingredients listed on the package included Maple sugar. We did not experience a maple sugar flavor. Even though we did not taste the maple it did have a nice balance between the sugar and salt. The texture was spot on, chewy crunchy, the way bacon should be. The bacon did have a nice meaty pork flavor. Unfortunately we did not taste any trace of smoke. This bacon is an honorable and nice commodity. It just does not have the pizazz we are searching for. 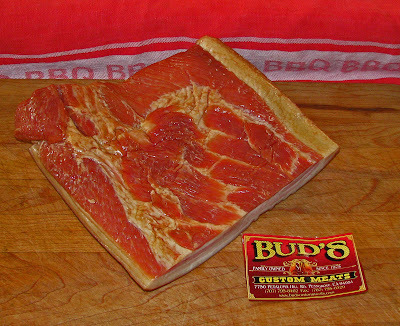 Buds bacon is a very decent pork product. The smoke seemed to be missing and the maple sugar might have been present but was at the back of the stage. Tonight’s act will receive 3 stars out of 5. Zoomie, Did you get a chance to try the Nueske bacon? 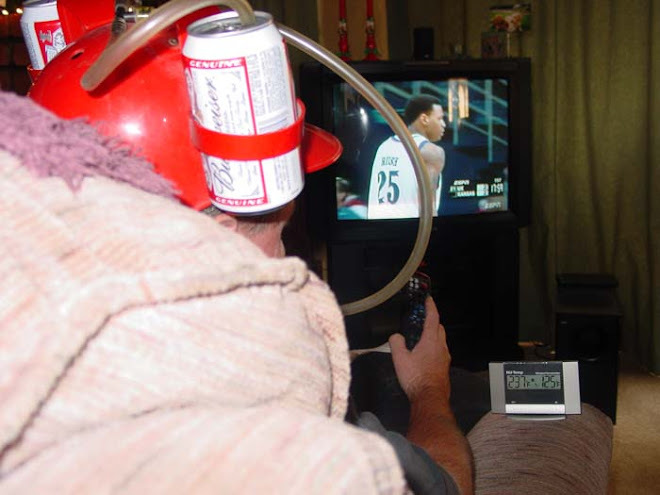 I am on vacation next week. 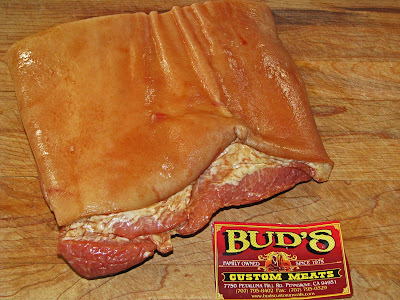 I may have some Cajun bacon for you to try. Catahoula! Nueske's is my gold standard. They used to sell it in the little market here in Point Richmond but they stopped and I haven't found anywhere close by that sells it, have you? Yes to Catahoula. What day? Iffy about Cajun bacon but, for you, I'll try it. Yeah, I seem to remember having the same response to their bacon from a few years ago. As though it was just 1 or 2 dimensional. Zoomie, Barons in Alameda has it. Reverend, Buds is still a destination Meat market. They have a huge selection of meat. Holy smokes, Chilebrown, I just visited the Baron's website and I have just one question for you - why do you go afield on Meat Adventures when you have Baron's on your doorstep? I'm going tomorrow! Wanna come along?